I wasn't all that fussed when I heard about these nail polishes being released but when I saw them in store I knew I needed a few in my collection. Since this first collection has launched Kylie and Sinful Colours have already launched a new collection of finishes and shades with even more to come! These three shades stood out to me the most as the others were a bit of the same shades already on the market. The Kylie Jenner nail polish collection for Sinful Colours is Exclusive to Superdrug in the UK and is available in stores and online. Superdrug have a list of all of the stores which they are stocked in on the website which is super handy! These three shades stood out to me out of all of the shades in the first instalment as they are so unique compared to anything I have in my collection. These nail polishes are designed to be used with the Top Coat as a Step two after applying the shade as Step One but I hate top coat so I didn't purchase it but it made no difference to my nails anyway! The three shades I went for were KoKo-Nuts (white with shimmer), Kryptonite (a gorgeous teal, reminds me of one of Kylie's famous wigs!) and Kreme De La Kreme (a stunning metallic rose gold). I have been so impressed with these £3 nail polishes which surprised me as I am very fussy with my nail polish! Two out of the three shades applied streak free but KoKo-Nuts was a pain to get even and definitely needs three coats but I expected that as it is white. You could definitely get away with one coat of Kreme De La Kreme which is so impressive! All of the nail polishes dry to a smooth finish and actually dry pretty quickly - I was expecting them to take ages to dry but they were completely dry within a maximum of 10-15 minutes without any top coat. I have terrible nails, they are very thin and flake off from a bad experience with an at home gel kit so I thought these polishes weren't going to last long on the nails but oh my goodness - I got at least five days wear with not a single chip out of each nail polish! I don't use base coat or top coat so I thought that was incredible. 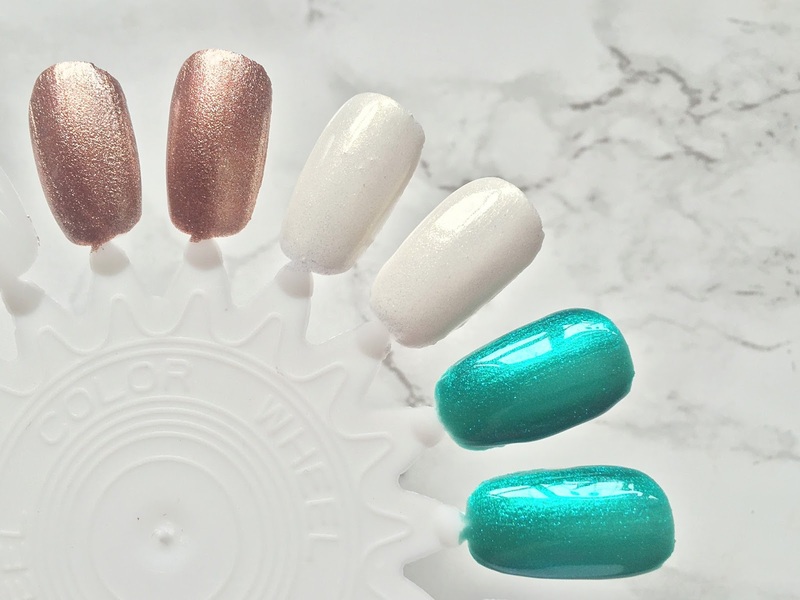 If you are looking for some budget nail polishes, you need to try these from Kylie and Sinful Colours. The Kylie Jenner Sinful Colour Nail Polishes retail for £3 and are available at Superdrug - HERE.